Dahl was a large presence in my life, as for so many others. I grew up in the years between the Charlie movie and the Quentin-Blake-illustrated Dahl. Later I loved Danny the Champion of the World. And much later, his short stories. Red Indian folk tales. Great pictures. It had old very brown paper which smelt really amazing. Like wood or something. I must have spent as much time smelling it as reading it hehe. I don’t know if it was just that copy. I must try to get a copy and see. Raymond Briggs. 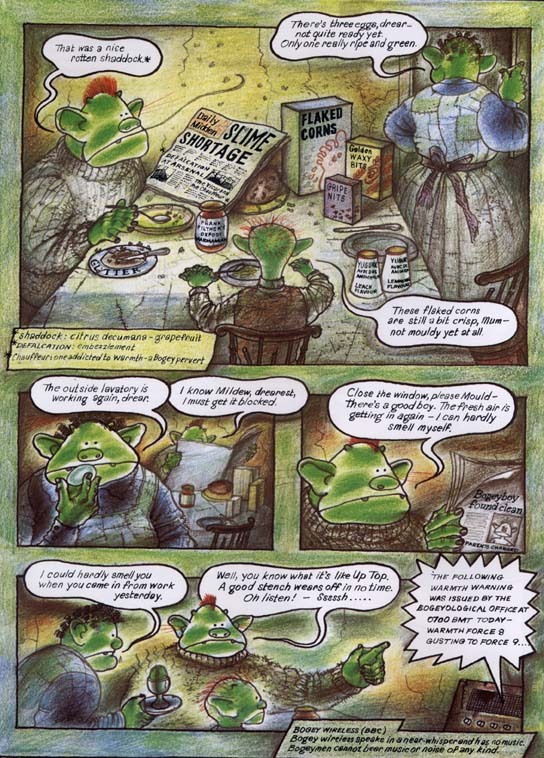 Jim and the Beanstalk, Father Christmas Goes on Holiday, Fungus the Bogeyman. Later at school read When the Wind Blows. (Very dark story about an elderly British couple in a nuclear holocaust). I read Father Christmas Goes on Holiday and Fungus many many times. These had wonderful ‘realistic’ pictures in a dot style. They were sober, dark, humourless stories about princes, princesses, dragons, spells etc. I had a few books of hers. Strangely, they seem to have disappeared. 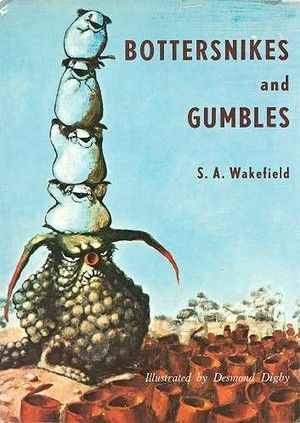 I will have to look on Amazon etc; I can’t see any of the version I had (must have been printed in the 80s) on google images. Sad that they’ve been lost – they were really enchanting, I remember spending a lot of hours in that world. Naunerle Farr -edited illustrated stories and novels. I remember the Poe stories one best – Cask of Amontillado, Pit & the Pendulum, House of Usher, Murders on the Rue Morgue – I vividly remember reading each of those. 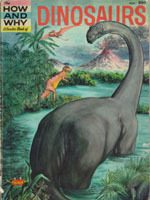 the Verne/Wells type classic novels. 3 Musketeers. The Man in the Iron Mask. White Fang. Ben-Hur. Dr Jekyll & Mr Hyde. 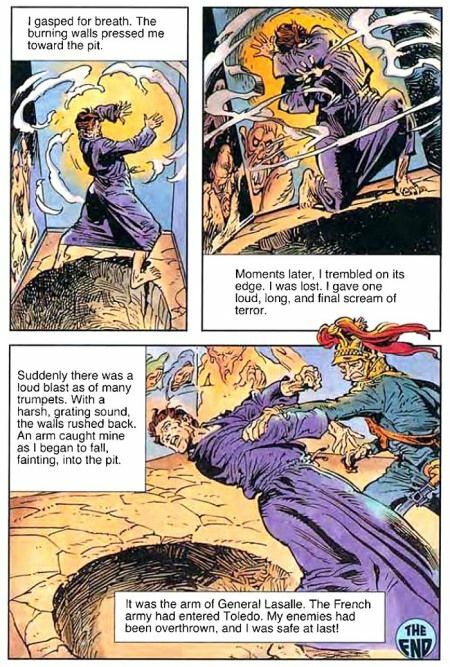 The Poe one (Pit and the Pendulum online here in a colourized version) seems to have been done by Gerry Talaoc. Says here “During his heyday as a DC and Marvel artist, he worked from his native Phillipines – a country once known for its prodigious comics industry that produced Nestor Redondo, Tony DeZuniga, Alfredo Alcala, Alex Nino and scores of other excellent draftsman who became household names to diehard comic-book fans in the 1970s.” It’s funny that I spent so many hours admiring the work of filipino artists and never knew it! I played at Manly Jazz Festival in 1985 aged 14, and saw this in a bookshop. I think it was the first book I ever bought. $40. (Most books in my father’s library had been acquired for 5 or 10c, from almost every Vinnies in eastern Australia.) I had already played a lot of Bach pieces, and was into Escher, and programming. Gödel was new to me I guess! Although there was a book on paradoxes in my school library that I liked. GEB is about so many things – self-reference (even now, my favourite movie is Adaptation. hehe), feedback loops, symmetry (and palindromes and ambigrams/inversions), genes, logic and mathematics, computer programs, puns and stupid jokes – playfulness. I set out to read every work of fiction in that library, starting in alphabetical order. I didn’t get far, but luckily one of the first ones I read was Edwin Abbott’s classic Flatland. Another time, my English class was reading in the library, and I had to choose a book. Someone (thank you Nadine) was reading Vonnegut’s Cat’s Cradle, so I chose his The Sirens of Titan. Which turned out to be a major event in my life.